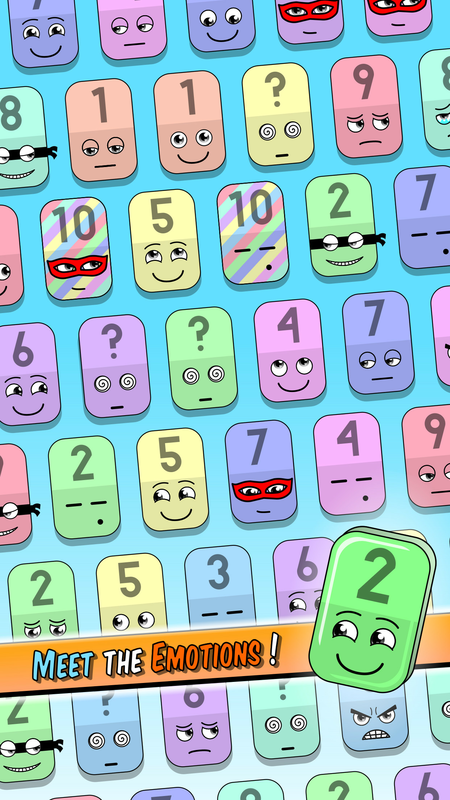 A completely different addition to the collection of match 3 games: a brain training number matching puzzle game! Tentis is not a traditional match 3 game. Tentis challenges you to THINK. Nothing is better than a good puzzle solved with the force of your BRAIN. Do you have what it takes? Add the Numbers and Match away! Tentis takes the classic match-3 formula and transforms it completely with a new very simple mechanic: math! 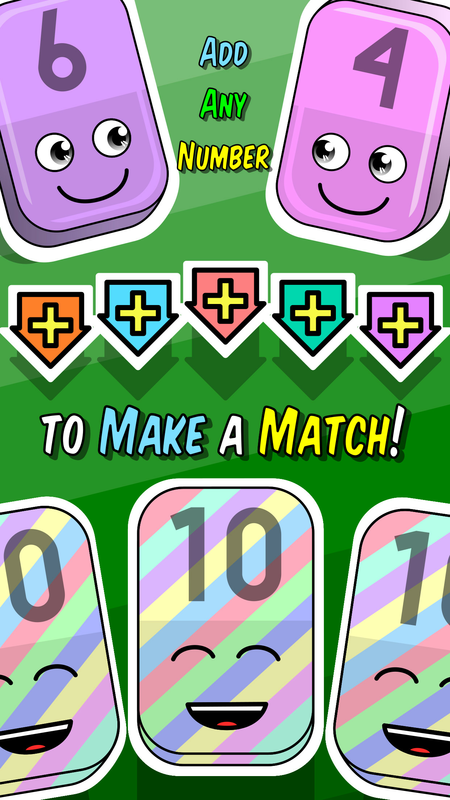 No more candy or jewel swapping, add Happy Numbers instead! Discover the Minute Mode where you play against the Timer, and where you meet 10 Emotions that change the way you play! Intuitive and very easy (at first~), but then very challenging (at last~)! Puzzle Mode redefines what it means to be a puzzle game. The puzzles are hard yet fair, giving you just enough to solve them. If you complete level 5, you are better than 64% of players! 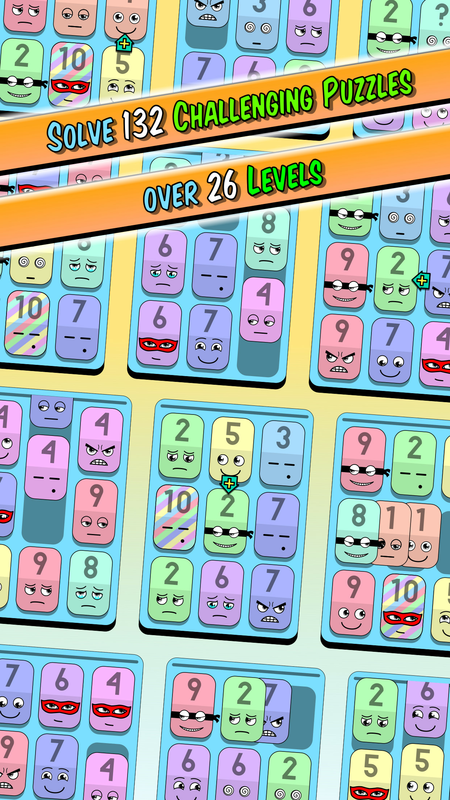 Will you be able to beat all of the 132 puzzles over 26 levels? In Minute Mode, you have ONE MINUTE to reach next Stage with your powers. Are you quick enough? Don't worry, this one is unforgiving. If you reach Stage 3, you're better than 67% of players! In Cruise Mode, you have all the time in the world to manage your Emotions. What Stage can you reach? 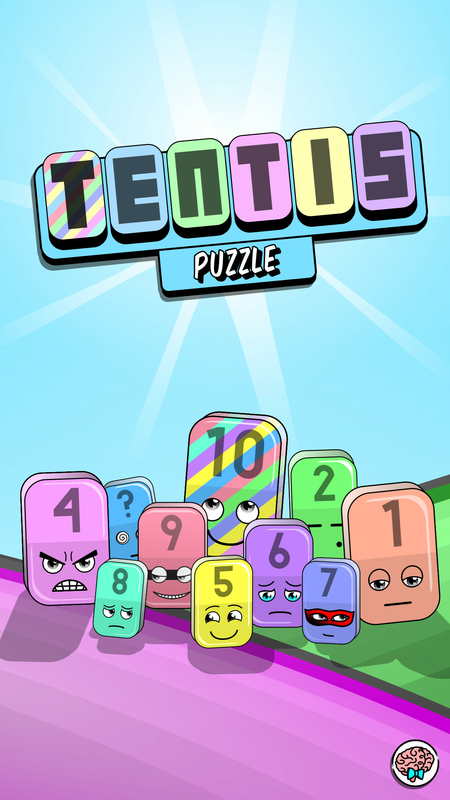 Tentis innovates in three parts: the simple math & match mechanic (Level1-10), the challenging Emotions mechanic (Level 11+ and Endless modes), and the Ultimate Unforgiving Time Attack Minute Mode! Tentis was made especially for adult brains of all ages but also for children 7yo+! To play, you need to know only one thing: how to count from 1 to 10. But don't be fooled by the early simple math. Only 0.3% could finish the game (as of november 2016). In Minute Mode, choosing your powers is part of the equation. 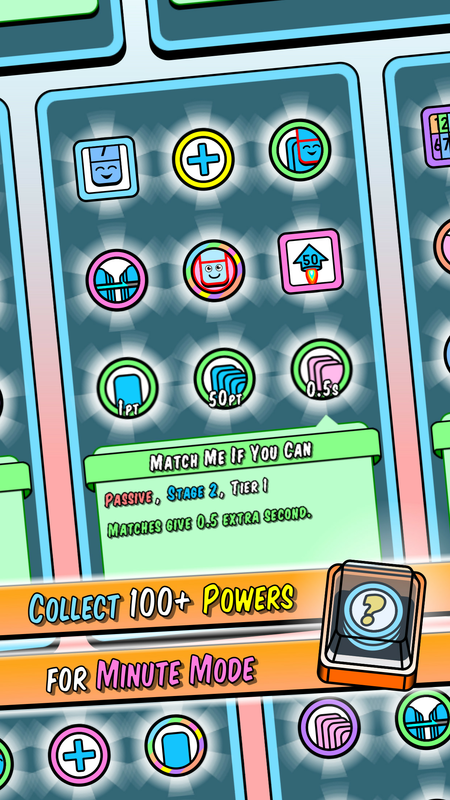 Collect more than 100 powerful powers by opening Booster Packs! With GameCenter Leaderboards, compare the sheer force of your brain with those of your friends, and those of the world! Which Stage did you reach? Tentis and all its functionalities are completely free, while some in-app items and premium (remove ads) will require real money. Tentis gives no easy gratification nor psychological artifice. Real satisfaction comes from your own brain finding the solution! We created this game for the pleasure of all brains. Please take the time to leave us a review and/or buy some in-app Booster Packs off our store. Thank you so much for playing and for your support!